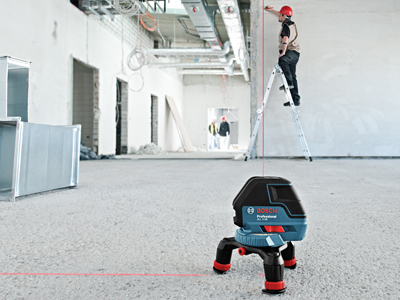 The Bosch GLL 3-50 S Three-Line Laser with Layout Beam Kit provides a layout laser, a 360° rotational mounting base and a durable belt pouch. 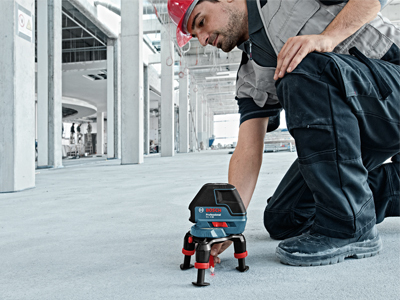 The GLL 3-50 produces one horizontal line, two vertical lines plus plumb down point - for level, align, plumb and square applications. 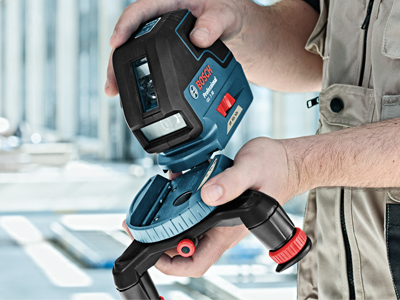 This helps users quickly layout the job, with precision. The included mounting base helps users effectively set right angles up to 33 Ft. without having to reset. 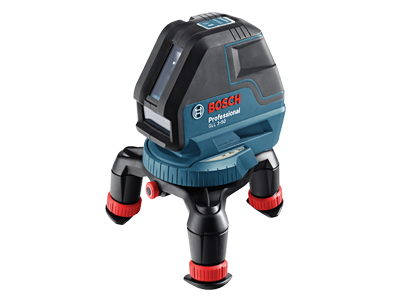 The base has manual fine adjustment, which allows for easy setup and convenient viewing of the laser point on the floor. The Smart Pendulum System self-levels and indicates out-of-level condition. 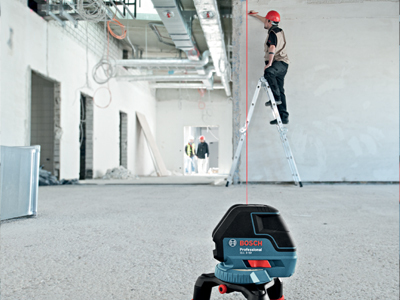 It has a pulse mode, for use with the optional LR2 laser receiver, to extend its range up to 165 Ft. And it offers an accuracy of ±1/8 In. up to 33 Ft.